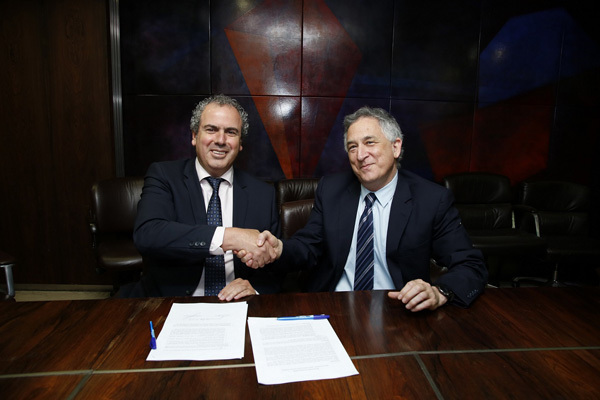 The Israel Diamond Exchange (IDE) recently approved a Memorandum of Understanding with Sarine Technologies Inc., which will go a long way to improving transparency in rough diamond trading. According to the MOU, Sarine will disclose to IDE members if “inclusion mapping” using the Galaxy™ system has been undertaken on specific rough stones. The significance of this agreement is that rough diamond sellers will not be able to conceal from purchasers that prior inclusion mapping has taken place. Sarine’s Galaxy™ systems are the only machines on the market that perform inclusion mapping of rough diamonds. In many cases the machines do not leave any indication that mapping has taken place. The Israel Diamond Exchange initiated the agreement with Sarine at the request of several IDE members, who urged greater transparency in rough purchase. The MOU was negotiated within the past month and was ratified by the IDE Board today. In order to improve transparency throughout the world diamond industry, IDE President Yoram Dvash proposed at the 37th World Diamond Congress in Dubai that this requirement be also adopted by the World Federation of Diamond Bourses (WFDB). IDE President Yoram Dvash said, “The Israel Diamond Exchange aims to achieve maximum transparency for the benefit of its members and the industry as a whole. This is one of the important steps we are taking to achieve that goal." Executive Director and CEO of Sarine Uzi Levami explained, "Sarine collects and stores the information of all unmarked stones that are scanned by our Galaxy™ machines. Upon request, we will provide this information to the Israel Diamond Exchange, its members and its tenants. We look forward to working with the IDE to enhance the processes of rough trading, using our technology to improve transparency for members of the IDE."